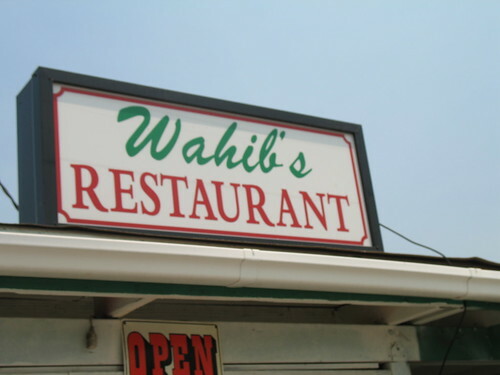 A few co-workers and I had lunch at Wahib's Middle East Restaurant today. 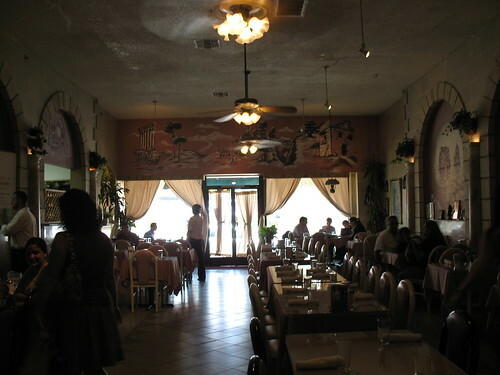 The owners are from Lebanon, but the restaurant offers a number of different delicacies from the Middle Eastern region, as you might guess from the name. 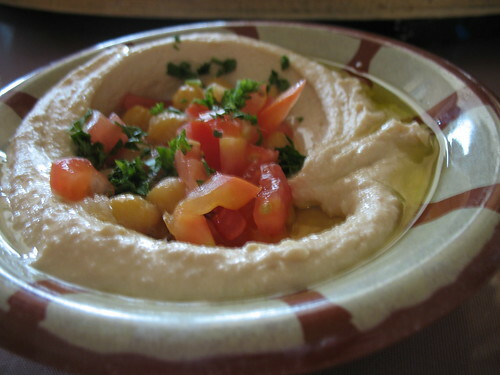 The hummus for the table was delicious and steeped with fresh garlic, garbanzo beans, and tomatoes and laden with the ideal amount of extra virgin olive oil. 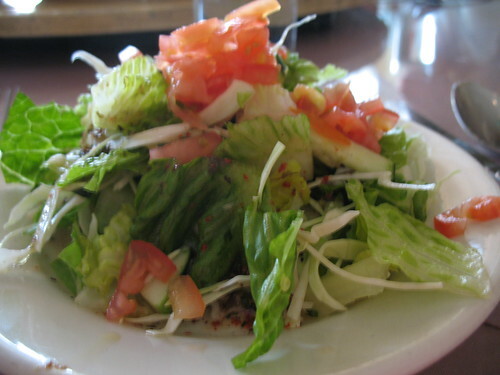 Even my salad was fairly spiced for salad. 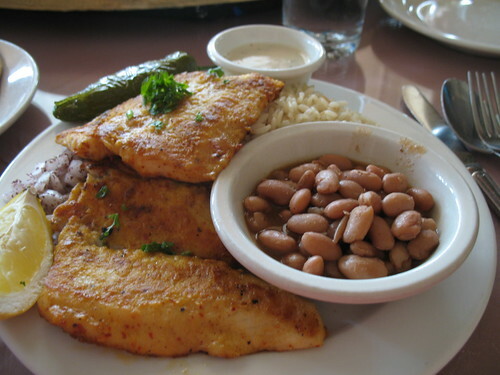 My fish of the day was fantastic -- lightly pan-fried to perfection on a bed of rice and seasoned diced onions with a side of tasty beans. Service is fast and friendly. Great for a not-too-long lunch on a workday. you are so way more adventurous than i in the eating department. i vote for lebanese on sunday. even if i'm a maybe and still don't know if i'll make it. the bear and i haven't gotten to eat at that place yet. YUM!!! I love getting "fish of the day" specials. that hummus looks to die for. please come visit me in dallas so that i can get fat from eating at random and yummy places. I've had Middle Eastern food, but not Lebanese. I'll have to give it a try. That hummus looks delicious! My mouth is watering now! Mmmmm. I love that place. The free salad and hummus are my favs. Their homemade salad dressing and their garlic sauce are so tasty. Oh that looks so good - I haven't had decent middle eastern food since I left Detroit. Looks great! I third the comments re: the hummus! Looks so good.